BT today announced the launch of BT Assure Cyber, an advanced security platform designed to offer complete and comprehensive monitoring, detection and protection against cyber threats targeted at private sector and government organisations. The new solution builds on BT's extensive knowledge in the security field and combines a blend of carefully selected tools developed by BT and its world class security partners to create and deliver a unique new service to the security market. BT Assure Cyber uses a number of advanced analytics engines to detect subtle threats within the monitored environment. It then puts those threats into context within the vast array of events presented to cyber defence analysts and security professionals that would otherwise distract attention from priority incident analysis. At the core of the Assure Cyber architecture is a "super correlation" engine that uses advanced mathematics to pick out anomalies from within human and machine orientated traffic. This complements traditional anomaly detection methods to gain a heightened situational awareness beyond that achievable with a single method of detection and analysis. The platform uses a pro-active methodology informed by a unique risk modelling engine that puts complex and routine threats into context. It determines how serious a particular attack may be to an organisation, taking into consideration the multiple layers of defence between an attacker and the vulnerable asset subject to attack. The Assure Cyber capability empowers the security analysts by allowing them to focus their attention on the threats that pose the most significant risk to their organisation. 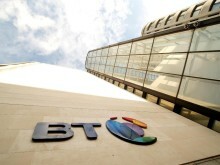 Mark Hughes, president of BT Security, said: "The traditional security perimeter has dissolved. Cloud computing and mobile devices have the potential to make organisations more agile, efficient and competitive. They also introduce a multiplicity of new security risks. These developments take place in an environment where organic growth, mergers and acquisitions, changes in suppliers and adoption of new technologies make it increasingly difficult to assess an organisation's exposure to the global cyber threat landscape. That changing business environment can hinder the understanding of security posture, including technical and non-technical procedures and controls that protect an organisation from internal and external threats. As innovation in technology accelerates, so must innovation and investment in the security controls that protect sensitive corporate assets from cyber-attack. Helping organisations master that changing cyber threat landscape is at the core of the BT Assure Cyber proposition. It is all about rethinking the risk." BT Assure Cyber is available globally and is fully scalable - to cater for private sector and government organisations with a few hundred endpoints to tens of thousands.